There is a variety of Scholarships available for particularly able or talented candidates including Academic, Art, Music and All-Rounder. Additionally for the Sixth Form there are Academic, Art, Music (including Organ) and Sport Scholarships available, see the Sixth Form Scholarships article. Scholarships to a maximum reduction of 50% of tuition fees are available and are awarded at point of entry. Click here to download our Registration Form, Art Scholarship Form and Music Scholarship Form. Candidates applying for entry in Years 7, 8, 9 and 10 will be considered automatically for an academic scholarship when taking the Entrance Examination. Sometimes there are pupils who are both academically able and gifted in a variety of areas and the most outstanding of these can be awarded an All Rounder Scholarship. Supportive evidence is required, such as references from team coaches or activity leaders. This information should be collated and submitted to the Registrars before the close of registrations for the Entrance Examinations on Friday 5 October 2018. Click here for more information on Art Scholarships. Click here for more information on Music Scholarships. Prospective Year 7, 8, 9 and 10 pupils who are being considered for either major Academic or major All Rounder Scholarships will be invited to an interview with the Headmaster or the Assistant Head - Co-Curricular following the entrance examinations. The parents/guardians of these candidates will be contacted by telephone from Wednesday 14 November 2018. Only those being considered for these awards will be contacted. The interviews will take place on Saturday 17 November 2018 and during week commencing Monday 19 November 2018. Bursaries are available up to 100% of tuition fees. Application forms are available from the Foundation Bursar's office and from our website. Completed applications should be forwarded to the Foundation Bursar with supporting documentary evidence. Applications for bursaries are means-tested and reviewed by external consultants. The deadline for bursary applications is Friday 5 October 2018. Click here for more information on Bursaries and the means-tested Thomas More Scholarship aimed at Catholic children who attend a Catholic school. Sixth Form Academic Scholarships are available to external candidates who are expected to achieve A* and A grades at GCSE. Those who wish to be considered should make an application by the deadline date of Friday 15 February 2019 and if appropriate will be invited to attend the Sixth Form Acadamic Scholarship Day on Tuesday 12 March 2019. The Academic Scholarship Day will comprise a Verbal Reasoning examination, an interview with the Headmaster and Head of Sixth Form, taster lessons in two A-level option subjects, lunch and a tour of school. Internal candidates do not have to apply for Sixth Form Academic Scholarships. They are automatically awarded to a small number of the highest achieving internal candidates in August by the Headmaster based on their performance in GCSE examinations. Sport Scholarships may be awarded to internal or external candidates entering the Sixth Form. The candidates should submit a portfolio and detailed account of their reasons for the application supported by references from their coach/activity leaders. The final document should be forwarded to our Registrar by Friday 15 February 2019. 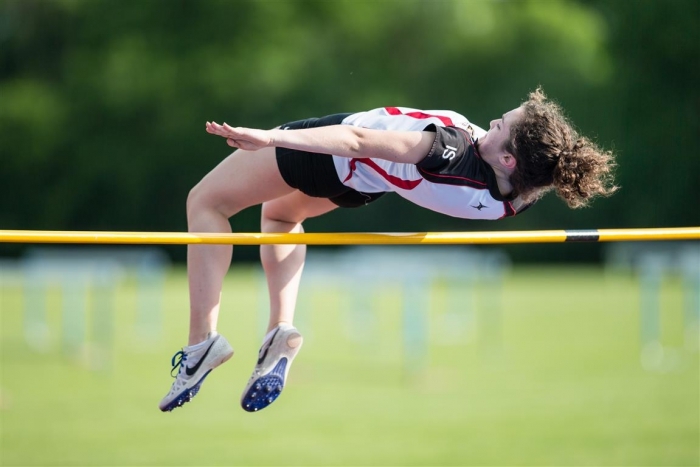 Following a review of the portfolios, as appropriate, candidates will be invited to the Sports Scholarship Assessment Day on Friday 8 March 2019. A Sixth Form Art Scholarship is available to internal or external candidates entering the Sixth Form. The deadline to apply is Friday 15 February 2019 and the Art Scholarship Assessment Day takes place on Wednesday 13 March 2019. Successful candidates will be expected to pursue the A-level Art Course. Candidates should have achieved high standards in their GCSE courses (predicted A/A*). Portfolio work would also be expected to contain evidence of creative endeavours outside the confines of school GCSE coursework and be supported by a reference from their Head of Art. The candidates will be expected to have excellent observational drawing skills and be able to draw from a still life during the interview day. A CD with up to 20 images of artwork, in JPEG format, must be included with the application and sent to Princethorpe College by the application deadline. Candidates will also be expected to bring a portfolio showing work from their previous two years. 3D work should not be brought, photographic evidence of 3D work being sufficient, or as images on the CD. Candidates will undertake some drawing and design exercises in the art studios and will also be interviewed by the Head of Art with their portfolios of artwork (portfolios should include recent GCSE coursework and evidence of work created outside school). Internal candidates are not required to submit a portfolio, however they will be required to attend the Art Scholarship Assessment Day. They will be considered by the Headmaster based on their performance in the GCSE examinations and feedback from the Head of Art. A Sixth Form Music Scholarship is available to external candidates entering the Sixth Form. The deadline for applications is Friday 15 February 2019 and Scholarship Auditions will take place the week commencing Monday 11 March 2019. Successful candidates will be expected to pursue the A-level Music course. A standard of Grade 7 ABRSM or equivalent in any instrument. A second instrument, which will probably be at a lower standard than the first. In certain cases it may be possible to begin a second instrument on entry. Perform 2 pieces on the instrument of their first choice. Perform 1 piece on the instrument of their second choice. Sing a song of their own choice. Play the panel’s selection of scales and arpeggios from the ABRSM grade that best reflects their current standard and undertake an aural test of the same standard. Participate in a viva voce, where they will be asked about their music-making, hobbies, etc. Piano accompaniments should be brought to the audition. An accompanist will be provided unless a candidate prefers to be accompanied by an external accompanist they elect to bring with them. Candidates are advised to perform music with which they are comfortable with, rather than playing music which is technically beyond them. Names and addresses of two referees must be supplied, one of which should be the school music teacher or conductor of a choir or orchestra in which the candidate regularly performs. 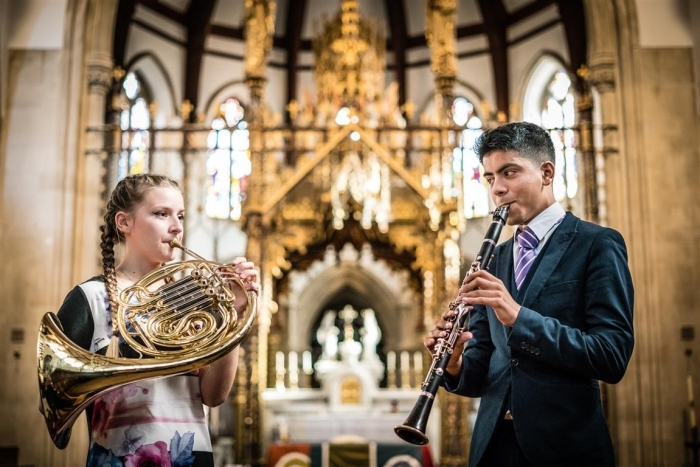 A Sixth Form Organ Scholarship of up to 50% of tuition fees is available to candidates who have a high level of ability and are committed and enthusiastic performers; the successful candidate will be expected to play in the College Chapel on Sunday at 10.15am Mass during term time and other functions. Applications, addressed to the Registrar should be received by the deadline of Friday 15 February 2019. Candidates will be required to perform a short piece and be interviewed by the Director of Music and Headmaster as part of the selection process. Internal candidates do not have to apply for Sixth Form Music and Organ Scholarships. They will be considered by the Headmaster based on their performance in the GCSE examinations and feedback from the Director of Music. Sixth Form offers and Scholarship offers, along with confirmation of option subject choices, will be made the week commencing Monday 1 April 2019. The deadline for acceptances of Sixth Form places and Scholarship offers is Wednesday 1 May 2019.